Please share your experience and respond to other’s experience around these questions, including in your post the hashtag #2016MessengerofGod. Who is Marshall Vian Summers to you? How do you know he is a Messenger of God? •What is the mission of the Messenger in your experience? •Why has God spoken again at this time in the world? 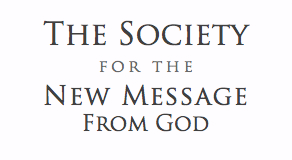 •Why does the world need to receive a New Message from God? •What do you feel is most important about the Encampment? •What are you looking forward to at the Encampment? •What is inspiring you most from reading, listening and engaging with the New Message teachings and the teachings of the Messenger.